Play ball! MLB 14 The Show is the big PS3 and PS Vita release this week, which hits the PS Store just in time for the start of the real baseball season. PS4 owners will get their chance to step up to the plate in a few weeks, though they can pick up Mercenary Kings today, which is free for PS Plus subscribers. Ragnarok Odyssey Ace hits both the PS3 and the PS Vita today, and PS3 gamers can also check out Batman: Arkham Origins Blackgate – Deluxe Edition and BlazBlue: Chrono Phantasma. This edition of Trials Fusion includes both the full Trials Fusion game and the Season Pass for access to future additional content. The Season Pass also includes the bonus Crater Hazmat Suit rider outfit. Batman: Arkham Origins Blackgate – Deluxe Edition amplifies the 2.5-D game with new maps, enemy encounters, difficulty levels, batsuits, and enhanced visuals. A companion game to Batman: Arkham Origins, players can continue the storyline of the console version and discover more details of the Dark Knight’s past. 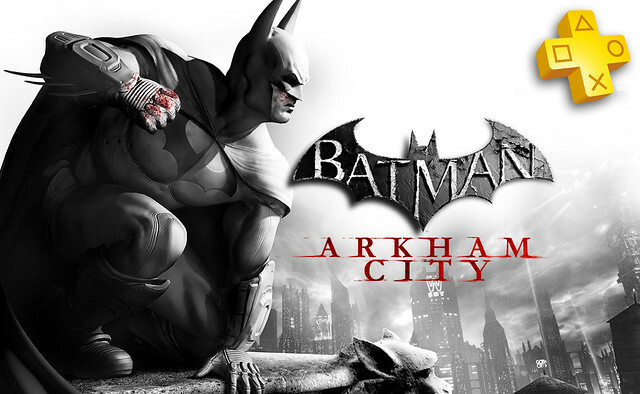 Featuring stealth gameplay, free-flow combat, and Batman’s famed arsenal of gadgets, the genuine Arkham experience is reproduced in a deep, action packed side-scrolling adventure. Kart Racing Where Everything and Anything Goes…Fast! Lead-footed bathers, dumpster drivers, lawn-mowers, bargain shoppers, sadistic caddies and many more race and battle their way toward glory in unique vehicles outfitted with custom weapon mods on fantastical stylized tracks strewn with themed hazards, traps and awesome jumps in a humor-packed race to the finish line. The highest rated sports franchise over the last 8 years (according to Metacritic) is back and better than ever. MLB 14 The Show captures the most exciting moments in baseball with improved physics and over 40 new features and gameplay enhancements. So get ready to step up to the plate, to the greatest sport ever played. Which just got better. Welcome to The Show. In Japan’s Capital, during the 20th year of the prosperous Taisho era… A young dame calls the Narumi Detective Agency and turns two gumshoes’ lives upside down with a simple request. Before they know it, the girl’s been snatched. Meanwhile, conspiracy and collusion are tightening around the Capital like a hangman’s rope. Only assistant detective Raidou Kuzunoha the 14th, Devil Summoner par excellence, can get to the bottom of a mess like this! ‘iFruit hooks directly into your experience of Grand Theft Auto V. Keep up-to-date on the latest news, log into the Rockstar Games Social Club and stay connected on LifeInvader and launch other Rockstar Games apps. This Sunday is the 30th anniversary of the biggest event in sports entertainment, WrestleMania. Get ready for all of the action with the All Access Pass and don’t forget to watch WrestleMania 30, Sunday, April 6 at 7pm ET/4pm PT, Live on WWE Network. Don’t have WWE Network?Subscribe today! Hey Time Warner Cable (TWC) users, you can now authenticate the EPIX app on your PS3 or PS4. TWC Digital Basic and Preferred TV subscribers can access the EPIX app now for COMPLIMENTARY access to all of the network’s BIG movies, music events, comedy specials and originals thru June 18! Just sign-in with your TWC credentials to be instantly authenticated, and start streaming thousands of movies and more including Marvel’s the Avengers, Skyfall, The Hunger Games, Star Trek Into Darkness, and World War Z – uncut and commercial-free. Visit www.twc.com/EPIX for more information. With a few weeks left in the NBA regular season, the race to the Playoffs is heating up, and you can watch every NBA game* live and on-demand with NBA LEAGUE PASS – now for the lowest price of the season! Live games includes regular and out-of-market games. Blackout and other restrictions apply. Get NBA League Pass here. There is no shortage of variety in this week’s new releases on Qello Concerts. For indie lovers, we’ve got Cage the Elephant with original lead guitarist Lincoln Parish. Then it’s time to get groovy to the trans-fusion jam band, The Disco Biscuits. Get inside the mind of the brilliant Meatloaf (“Paradise by the Dashboard Light”) with Meatloaf: Storytellers from VH1. Next it’s Playing for Change, the Internet sensation that united musicians around the world, from street performers to superstars, in song. Remember “Stand By Me”? The globetrotting production resulted in full albums and this documentary, as a troupe of performers went on tour across North America. Each week Qello gives non-subscribers a taste of All Access by unlocking a handful of concerts to watch for free. This week we’re celebrating Eric Clapton’s birthday and giving away three incredible Clapton concerts, including a Crossroads Festival, an Unplugged, and Clapton with Steve Winwood. Sign up and get a 7 day free trial. This week’s new VOD releases includes two titles that fit perfectly with the PlayStation audience. The first is 47 Ronin, which is one of ancient Japan’s most enduring tales. Keanu Reeves leads an all-star cast as Kai, an outcast who joins Oishi (Hiroyuki Sanada), the leader of 47 outcast samurai. Together they go on a mission to seek vengeance upon the evil overlord that murdered their master and made them outcasts. And for all of you Will Ferrell fans out there, Ron Burgundy is back in Anchorman 2: The Legend Continues. With the 70′s behind him, San Diego’s top rated newsman, Ron Burgundy (Will Ferrell), returns to the news desk along with his co-anchor and wife, Veronica Corningstone (Christina Applegate), weather man Brick Tamland (Steve Carell), man on the street Brian Fantana (Paul Rudd) and sports guy Champ Kind (David Koechner). Their mission is to take the nation’s first 24-hour news channel by storm. Both titles are also available for purchase on VUDU. All men must die. HBO’s smash-hit, Emmy Award-winning drama series Game of Thrones returns with a new season of duplicity and treachery, nobility and honor, conquest and triumph. Catch up on every episode now before the new season premiere on April 6 with HBO GO on PS3. Can’t wait? Watch the trailer here.